Bed and Breckfast in the heart of the historic counter of Siena. BnB Paolina. Bed And Breakfast387 sq. ft.
We are in the city center of Siena few meters away from Piazza del Campo or from the Duomo -the Cathedral of Siena. Our rooms are a historical palace of Siena that dates back to 1400, both rooms have a fantastic landscape view. In our unique position. Close to our property you will find two parkings both about 300 meters away. Every room has a private bathroom with shower. TV and free Internet access. The breakfast has a wonderfull view over the Tuscan landscape with a balcony. Around us you can find many restaurants of all kinds and bars. You can reach Piazza del Campo by walking that is about 400 meters away. The privince of Siena is full of artistic and cultural destinations. Siena is also famous for being the center of 3 famous wine areas such as Chianti, Btunello di Montalcino and Nobile di Montepilciano. The Tyrrherian sea and the beach of the province of Grosseto are 70 Km away from Siena. Main airports are Florence Peretola Airport and Galileo Galilei Pisa airport. We are in the historic center of Siena just a few meters from Piazza del Campo and the Duomo of Siena. 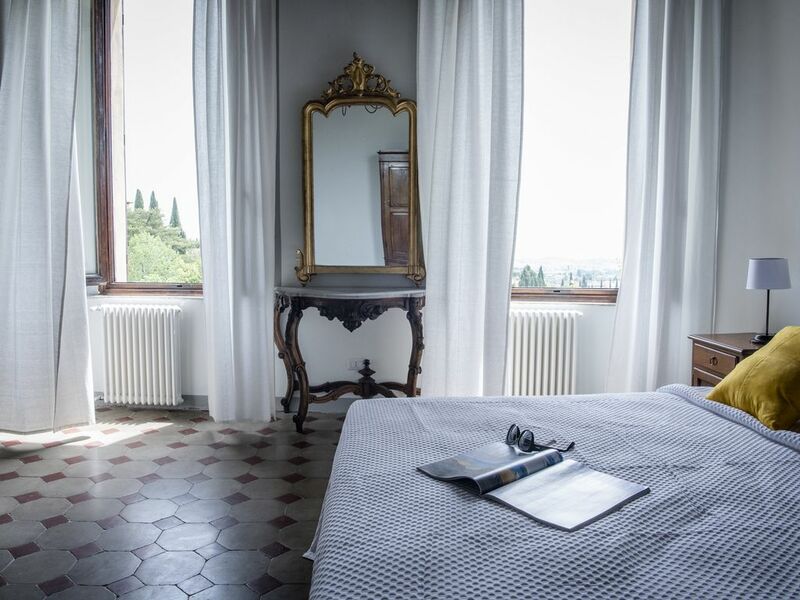 Our rooms are inside an ancient palace overlooking the Sienese countryside with a wonderful view. The rooms are very quiet and in a unique position. You will enjoy maximum tranquility. The rooms are very well kept and comfortable with all the comforts such as free air conditioning TV and Internet. There are two covered parking lots a few meters away from the house. Each room has a private bathroom with a shower. We provide customers with a complete bathroom kit and hairdryer. The rooms are all dated with Air Conditioning TV and Wi-Fi for unlimited Internet access. The breakfast room has a beautiful balcony that allows you to enjoy the outdoors and in the evening is a relaxing corner for guests. Nearby you will find many typical restaurants and bars. The Piazza del Campo is reachable on foot and is only 400 meters away. The province of Siena is rich in art and culture. We are also immersed in one of the most famous wine-growing areas in the world where you can find Chianti, Brunello di Montalcino or Montepulciano's noble wine. The sea is only 70 km from Siena and the nearest airports are Florence Peretola and Pisa Galileo Galilei Airport. Wir befinden uns in dem Altstatt von Siena nur 400 meter weit von der berumte Piazza del Campo or der Pferdrennen Palio Di Siena statt findet. Unsere zimmern befinden Sich in eine Gebeude der geht zuruck zum 1400. Alle Zimmern befinden sich auf Garten Seiten mit einem wunderschoenen Blick auf der berumte Toskana Landschft. Deshalb sind unsere zimmer sehr ruhig und sehr angenehm fuer Relax und Entspannung. At Zimmern sind zehr geplegt dekoriert und haben Klimanleitung Fernsehen Internet and private rooms Badezimmer mit Dusche. In der Naehe, about 300 metern befinden sich zwei parkplaetze die zu fuss erreichbar sind. Der Prinz von Sienna befindet sich innerhalb von 3 Weingebiete Chianti, Brunello di Montalcino und Nobile di Montepuciano. Die naeheste Flughaefen sind der von Florenz und Pisa. Stunning Tuscan rolling hills for the view. Delicious breakfast served every morning. Perfect location in the city. Giuseppe is a helpful and very accommodating host. Would recommend this B&B again and again! This is a beautiful B&B in a historic building. It was quiet, yet close to everything we wanted to see. Our hosts went out of their way to make sure that we were comfortable and they served a plentiful and delicious breakfast each morning. I would highly recommend this place! Thank you very much for your kind words. It was a pleasure for us to have you as a guest. We look forward to see you again in Siena. The night before we arrived in Siena we booked this room. Literally a last minute change in our travel plans. What a delight! Giuseppe took our call as we wanted to confirm the last minute booking was "good to go"! He directed us to the correct location to park our car and gave us directions to find this haven. We were greeted warmly and immediately felt welcome! The room and bath are just gorgeous! If that's not enough--look out the window, a breathtaking view awaits! The breakfast room is bright and cheery. I am confident that this room will never again be available "last minute"! I predict this place will have a waiting list in no time.